Wat zijn de redenen dat de EU Europeana gestart is? En wat is de stand van zaken na vier jaar pionieren? Since 2009 we work with Europeana on policies and tools to ensure that Europe’s cultural heritage is as widely available and reusable as possible. 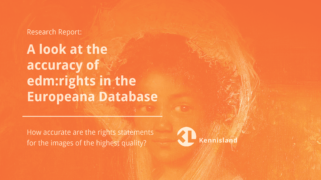 As part of our work for Europeana, Kennisland is coordinating the Copyright Policy Advocacy activities that Europeana undertakes. With the help of Kennisland, Europeana is lobbying in Brussels trying to ensure that the ongoing review of the EU copyright rules will take into account the interests of Europe's cultural heritage institutions. Over the past three years Kennisland has worked together with Europeana and other partners on developing a framework for the creative reuse of the digitised cultural heritage that is available via Europeana. 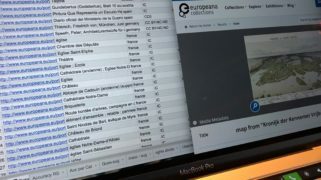 Europeana Data Exchange Agreement is sluitstuk van samenwerking tussen KL, het IvIR, de Nationale Bibliotheek van Luxemburg en Europeana. Op 9 mei organiseerde Europeana in Brussel een event over de gemaakte vooruitgang. Paul Keller was erbij. Europeana.eu is the EU digital platform for cultural heritage. More than 3,000 institutions across Europe have contributed to Europeana. 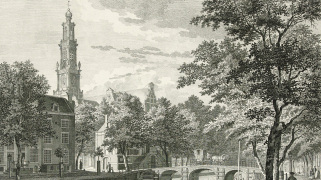 The Europeana Foundation is the governing body of the Europeana service.